Children and adolescents diagnosed with autism spectrum disorder (ASD) have significant difficulties with communication and social skills. Consequently, children diagnosed with ASD are often victims of social rejection and targets of bullying, which have an adverse impact on their emotional and mental wellbeing. Social anxiety, depression, and poor academic achievement are some of the consequences that can harm their whole lives. This chapter will begin with an elaboration of the challenges facing children and adolescents diagnosed with ASD. 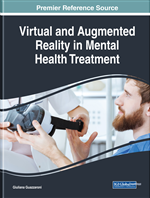 This will be followed by an introduction to virtual reality (VR) and its advantages for extending the capabilities of some of the traditional interventions developed to teach social and everyday living skills to children and adolescents diagnosed with ASD. Leo Kanner coined the term autism in 1943 (Kanner, 1943), describing an individual's inability to create regular emotional contact with others. This definition has throughout the years evolved into Autism Spectrum Disorder (ASD) with the term “spectrum” indicating the variety of communicative and social interaction challenges facing individuals diagnosed with this developmental disorder. The fifth and latest edition of the Diagnostic and Statistical Manual of Mental Disorders (American Psychiatric Association, 2013) describes ASD as a range of pervasive and lifelong neurodevelopmental disorders, characterized by severe deficits in social and communicative skills of individuals diagnosed with it. These impairments exist in both the non-verbal and verbal communication skills, with the verbal limitation including difficulties with initiating or responding to social interaction and participating in a regular back and forth conversation and the non-verbal deficits resulting in a hard time understanding gestures and facial expressions or keeping eye contact with others. Consequently, developing, maintaining and understanding relationships with others is a difficult task, resulting in a hard time having personal relations with friends or partners. Furthermore, these deficits lead to adversities in various adaptive skills such as using the public transportation, shopping in the supermarket or buying food in a workplace or school cantina (Matson, 2009). DSM-5 divides the severity levels of ASD into three groups. The third level includes the low functioning individuals with severe deficits in communication skills, who are only able to use few words of intelligible speech and rarely initiate or responds to social interactions. The first level includes the high functioning individuals who are capable of communication using full sentences while still having noticeably impaired social skills. These deficits result in a wide range of consequences throughout the lives of individuals diagnosed with ASD. Studies indicate that children diagnosed with ASD are at higher risk of being bullied (Bitsika & Sharpley, 2014; Schrooten et al., 2017). Being bullied during childhood can lead to depression and suicidal thoughts, with the primary coping strategy of children diagnosed with ASD against bullying being withdrawal from school altogether, which has significant consequences on their academic career and future independence. Studies indicate that school refusal is far more common among students with ASD than in general population. Approximately 40% to 50% of students with ASD show school refusal behavior compared to only 5% to 28% of children and adolescents without ASD (Havik et al., 2015; Munkhaugen et al., 2017; Kearney, 2001). In addition to bullying, social anxiety, lower social motivation and depression are some of the main reasons for the school refusal behavior observed in children and adolescents diagnosed with ASD (Munkhaugen et al., 2017). Upon adulthood, according to some studies, 50% or more of participants diagnosed with ASD depend entirely or to a large extent on parents or caretakers for living arrangement and employment (Billstedt et al., 2005; Cederlund et al., 2008; Howlin et al., 2013). The socio-economic cost during the lifespan of an individual diagnosed with ASD is estimated to be around 1.4 million dollars in the United States of America and 0.9 million pounds in the United Kingdom (Buescher et al., 2014). These costs consisted mainly of adult care services and loss of productivity. According to a study conducted by Leigh and Du, the annual medical- and non-medical economical cost of ASD in the United States of America will rise from 268 billion dollars in 2015 to 461 billion dollars in 2025 (Leigh & Du, 2015). Approximately 1 out of every 50 children is diagnosed with ASD (Xu et al., 2018), further underlining the importance and agency of interventions to teach social and everyday living skills to children and adolescents diagnosed with ASD, helping them towards independent adulthood. Vive Base-Station Area: Vive base stations beam infrared signals to the headset and controllers in order to perform room-scale tracking of the users within an area of approximately 5 square meters. In-Vivo Exposure Therapy: Systematic and rapid exposure to feared situations in order to get rid of anxiety. Evidence-Based Interventions: Practices or programs that have been peer-reviewed and had their effectiveness documented via empirical evidence. Anxiety Disorders: A group of mental disorders characterized by significant feelings of anxiety towards specific environments or stimuli. Maladaptive Behavior: Behaviors ranging from nail-biting and separation difficulties to self-harm, developed to escape from challenges and conflicts instead of adapting one's behavior to them. Cave Automatic Virtual Environments: Immersive virtual reality environment where projector images are directed to the wall of a room. Head-Mounted Displays: A display device worn on the head that has a small display in front of each eye. Hierarchal Rehearsal: Rehearsal of skills starting with easier tasks, followed by a gradual increase in difficulty. Autism Spectrum Disorder: A spectrum of mental conditions with two types of symptoms: problems in social communication and interaction as well as restricted and repetitive behavior, interests, or activities. Transfer of Knowledge: Knowledge transfer is the practical problem of performing skills and knowledge learned in one context or situation to another context or situation. Socio-Economic Costs: Direct and indirect economic burden on the society.